Borders, open borders, or no borders? If freedom of movement is a human right, is Brexit good or bad? A Q&A. As migration within the EU has been liberalised, deportations of non-EU citizens have increased. Flickr/Rasande Tyskar. Some rights reserved.Are the borders of the EU a hypocrisy, or the movement within them the path to a world of healthier understanding of national frontiers? Guy Aitchison, researcher in Politics and International Relations at University College Dublin, explains the tightening of EU borders since the 1990s, some lessons of free movement between South American nations and, crucially, suggests that the EU is better seen as a floor and not a ceiling in setting the limits of a progressive immigration policy for the UK left to be proud of. 1. Are the frontiers of the EU compatible with ideas of a borderless world? The existing frontiers of the EU are a site of death, violence and cruelty. The current situation isn’t compatible with international law and with the EU’s own rules on border checks and asylum, let alone with the more utopian ideal of a borderless world. Many Europeans wince at Trump’s talk of building a wall, but hundreds of miles of guarded, barbed-wire fences have been built along the EU’s own borders. While the EU is rhetorically committed to support for refugees, it does everything it can to prevent them from reaching EU territory where they can claim asylum and those found to have entered ‘illegally’ risk being detained or deported without regard for their case. Along with this direct coercion and violence, the border contributes to upholding a profoundly unequal global economic system where one’s life chances depend to a great extent upon the citizenship one happens to be born with. The geographer Reece Jones links this system to historical efforts by states to control the movements of the poor and access to resources through serfdom and anti-vagrancy laws. By restricting the movement of the global poor, border controls maintain pools of cheap labour that can be easily exploited thanks to lax regulations and safety standards. The average income of a citizen of Germany, say, is twenty times greater than that of a citizen of Bangladesh. The EU’s border zone is the most dangerous in the world as a direct result of the lack of legal, accessible means for migrants to enter. Prior to the 1990’s, there were opportunities for migrants to come and go in Europe relatively easily. Agricultural workers from North Africa, say, could migrate for seasonal work in Spain. However, with the creation of the Schengen area, the EU adopted a much more restrictive set of policies as a way of compensating for the introduction of passport and visa-free travel internally. In its current form, then, free movement within the EU provides unprecedented opportunities for 500 million citizens to live in each other’s countries, but it is tied to a violent, radicalised system of exclusion. This has allowed right-wing Brexiters in the UK to make the cynical, opportunistic argument that instead of reforming and expanding free movement, we should reject it as inherently unfair. Unfortunately, some people on the left have gone along with this argument. 2. Is Brexit an asset or a risk to people who feel passionately about freedom of movement in the UK? It is clearly a big setback. Theresa May has said the referendum outcome was a vote to end free movement and the Labour Party has endorsed this view. Corbyn has repeatedly pointed out that migrants are not to blame for low wages and poor public services, but by promising to end free movement the party risks playing into a right-wing nationalist discourse that pits British workers against outsiders. All the empirical evidence suggests that there is not a limited pool of jobs, which migrants take at the expense of citizens. There is some evidence of downward pressure on wages in low-skilled areas of the economy, but this could readily be addressed through government policy, such as raising the minimum wage and secure trade union rights. More broadly, the referendum campaign was fought in an atmosphere of xenophobia and there has been a well-documented increase in racist hate crimes. There is also evidence that post-Brexit those forced to migrate from Asia and Africa no longer wish to come to the UK where they would not feel safe. 3. Would EU law prevent enacting Labour manifesto commitments to "develop and implement fair immigration rules [that do not] discriminate between people of different races or creeds.”? It is difficult to see how because the EU does not set the immigration policy of member states when it comes to the admission and residency rights of non-EU citizens. While the EU invests a lot in policing its borders, there is nothing to stop member states creating safe, legal channels to entry for those deemed ‘illegal’ by other EU countries. Member states also have autonomy when it comes to their own asylum policy. This is not to say there haven't been some very nasty anti-migrant laws coming from the EU. A 2008 directive from the EU sets rules and procedures on the deportation of ‘illegal’ migrants. However, it is up to member states themselves to decide who counts as illegal and whether they should be offered a route to regularisation. In any case, the UK has opt-outs from this area of law, partly because the government wished to pursue its own more draconian measures. It would be perfectly possible for a future Labour government to have a more inclusive policy towards migrants from Africa and Asia and to abolish the cruel income requirements without being prevented by EU law. 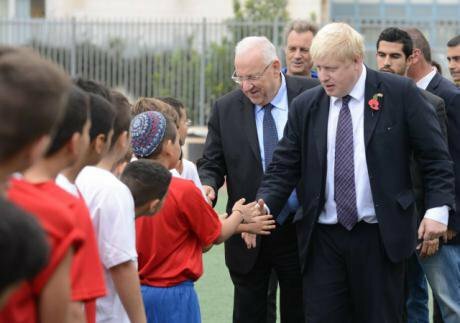 During the referendum campaign, Boris Johnson said the immigration system was “unfair” to India, Pakistan and other Commonwealth states. CC. During the Brexit campaign, Boris Johnson and other Brexiters made the cynical argument that the current system was ‘unfair’ to citizens of India, Pakistan and other commonwealth states. In reality, this was another case of the right using an argument from fairness for levelling down provision, as they do when scaling back welfare. Nonetheless, one argument I have heard from proponents of ‘Lexit’ is that the free movement rights tied to EU citizenship are a source of unfair privilege. They’re right about that in one sense, but it does not follow that Brexit is the answer. Historically, nation-state citizenship was shot through with unjust exclusions that privileged certain categories of people based on class, race, religion and gender. Yet progressive social movements of the excluded and their allies struggled for the expansion of these citizenship regimes, not for their abolition in the name of some vague and unspecified alternative. 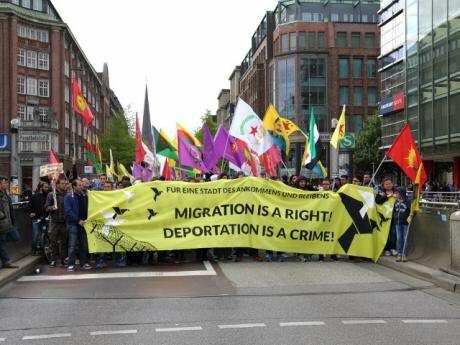 Likewise, the left today should be arguing for the expansion of free movement rights to those outside the EU in alliance with groups of migrants, refugees and the undocumented. We shouldn’t fall for the argument that abolishing freedom of movement is somehow an act of fairness towards those outside the EU. 4. What sort of evolved immigration arrangement or union would take the EU closer to a genuinely borderless world? Is this feasible? I would argue for open borders, rather than no borders which would imply the complete abolition of states or a single global state, neither of which I think is realistic or desirable. It’s helpful to ask ourselves first why we might want to aim for opening borders. There are broadly two types of normative argument that are made: one from freedom and one from social justice. The freedom argument says that movement is a fundamental aspect of individual autonomy. People should be free to move in order to pursue attachments and opportunities they deem worthwhile without state intrusion. This argument is often framed in terms of a universal human right to immigrate and it draws its strength by analogy with the human right to move within states as recognised in domestic and international law. The justice-based argument sees migration as a means to rectify global economies inequalities by allowing people to migrate to find work, which often leads to them sending remittances back home that benefit their families and communities. This argument is attractive to many people because there is something grossly unfair in the fact one’s life chances should be so profoundly shaped by an arbitrary fact such as nationality. It is worth thinking about these two arguments distinctly because each shapes the kinds of interventions we might pursue. If free movement is seen solely as a response to global poverty then there is an obligation to open borders to those in need, though not necessarily to anyone else. I would argue that a right to move can be justified as a universal right for all human beings but that global poverty gives additional reasons to prioritise those fleeing destitution or who are otherwise economically disadvantaged. We should also consider interventions which address global economic injustices directly so that people are not forced to move if they do not want to. This could mean a global regulatory system to enforce minimum labour standards and a global minimum wage which could be set as a proportion of the median wage for each country. There should also be major reforms to the rules governing international trade, resource and borrowing rights. As it stands, these are heavily biased to the interests of wealthy western states thanks to power imbalances in the WTO, IMF and World Bank. Would global freedom of movement be feasible? People sometimes predict that open borders would lead to massive social and political disruption. More prosperous states would become overwhelmed by incomers, threatening the viability of their economy and welfare systems. If such a scenario did materialise, I think states would have the right to impose limits on migration. But I also think the risks are being exaggerated. Since 2004 huge numbers of people from people from Eastern Europe have not moved to Scandinavia even though incomes there are many times higher. In fact, the overall effect of eastwards expansion on internal EU migration has been relatively small. 5. Are there examples of this elsewhere internationally, how do the arrangements function? The Mercosur arrangement between South American states offers an interesting case. Created in 1991, it is essentially a customs union. Yet a residency agreement implemented in 2009 allows nationals of Mercosur states to move to another member state for two years to look for work, after which they are entitled to permanent residence provided they can prove they can support themselves. In one sense, this is more progressive than the EU where migrants must prove they can support themselves after three months. In another sense, it is more restrictive since migrants must demonstrate a clean criminal record. 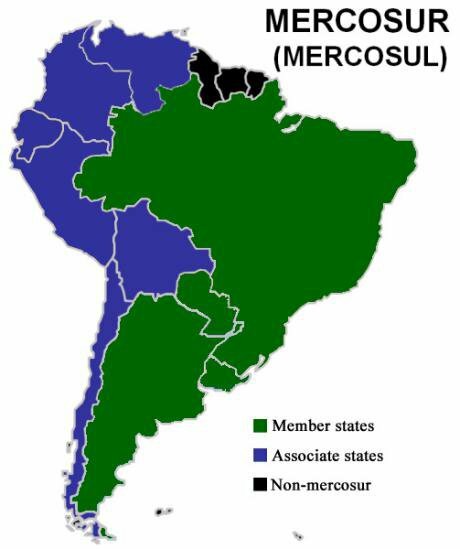 Freedom of movement in Mercosur - an even better model? One crucial difference is that there is no means to effectively enforce the agreement because there is no supra-national judicial body equivalent to the European Court of Justice. South American states have declared themselves committed to a common form of continental citizenship, but it is not yet clear what this would involve. Interestingly, the whole discourse on immigration and migrant rights is much more progressive in South America than Europe. A rhetorical commitment to migrant rights is a means for South American politicians to reject colonialism and signal their support for their co-nationals in the US and Europe. Argentina and Brazil have made important reforms in recent years to provide routes for regularisation. In 2008, Ecuador became the first country to include a right to immigrate in its constitution and it briefly opened its borders to visa-free travel for everyone (before restricting it again for certain countries). The South American case shows how support for migrant rights can be tied to a left-wing populist politics. The idea of a legal or constitutional right to migrate is also an interesting innovation. Crucially, it proclaims that governments will not persecute undocumented people on their territory and will provide them with routes for regularisation. In that sense, it recognises what Hannah Arendt termed “the right to have rights” - the fundamental right to access a system of rights and citizenship in which one can be heard and counted. The political theorist Rainer Bauböck has mapped out other possible institutional pathways to globalise free movement rights in addition to regional free movement regimes. He argues for the expansion of reciprocal citizenship-based arrangements between states, as with the Common Travel Area between Ireland and the UK or the Trans-Tasmanian travel arrangement between Australia and New Zealand. Other possible pathways include the expansion of family reunification schemes, visa-waivers and the recognition of multiple nationalities. Ultimately, one can envisage some kind of international convention that enshrines a human right to migrate and places an obligation on states to open their borders insofar as possible. 6. In current circumstances, what do you feel is the policy that British advocates of freedom of movement would be best-placed to pursue? In the immediate term, we should press the Labour Party not to abandon free movement. It is not yet clear what the party’s position will be. There was a leaked Labour policy paper at the election that spoke of a visa-system for unskilled European workers as an alternative to free movement, which is what people within the party like Caroline Flint have been pushing for. This would be a deeply regressive move since it places EU workers at the mercy of their employers when it comes to their rights and status, making a class of easily exploitable labour as part of a stratified workforce (see the recent report by Another Europe is Possible). What is often over-looked in debates on free movement is that UK workers will also be made more dependent on their employers since they will lose the right to live and work in 27 other countries. Some people within Labour argue that the party must simply accept that the public has voted against free movement. But this is a defeatist attitude. While it is undoubtedly true that fears about immigration contributed to the Leave campaign’s victory, only 33% of Leave voters gave immigration as their main motivation compared to 49% who said that ‘decisions about the UK should be taken in the UK’. The success of the party’s election manifesto proved that Labour could shift the argument on austerity by sticking to its principles. The same can be done on free movement so long as the argument is tied to a set of policies to promote better wages and employment conditions for all workers.